Three years ago, Mozilla dropped Google as the default search provider in their popular web browser, Firefox. Well, now that Yahoo is no longer Yahoo, Mozilla got out of that search deal and has now brought back Google as the default search provider in their latest version of Firefox, Firefox 57 Quantum. 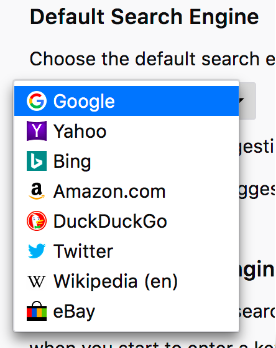 As part of our focus on user experience and performance in Firefox Quantum, Google will also become our new default search provider in the United States, Canada, Hong Kong and Taiwan. Firefox default search providers in other regions are Yandex in Russia, Turkey, Belarus and Kazakhstan; Baidu in China; and Google in the rest of the world. Firefox has more choice in search providers than any other browser with more than 60 search providers pre-installed across more than 90 languages. I don't see any disclosure on how much the search deal cost Google.